Recently, there has been increased interest in the analysis of urine proteins, partly because of the potential of identifying candidate biomarkers via a minimally invasive procedure. The proteins excreted in urine can be used as biomarkers in the diagnosis of kidney, urinary tract, coronary artery disease and other systemic diseases. The isolation of urine proteins will require a validated method that is reproducible, fast and compatible with many downstream analytical platforms. The ToPI-U mini kit contains optimized and ready-to-use reagents and concentration devices for processing of up to 20 urine samples. More than 200 ug of proteins can be isolated from 1 mL of urine. 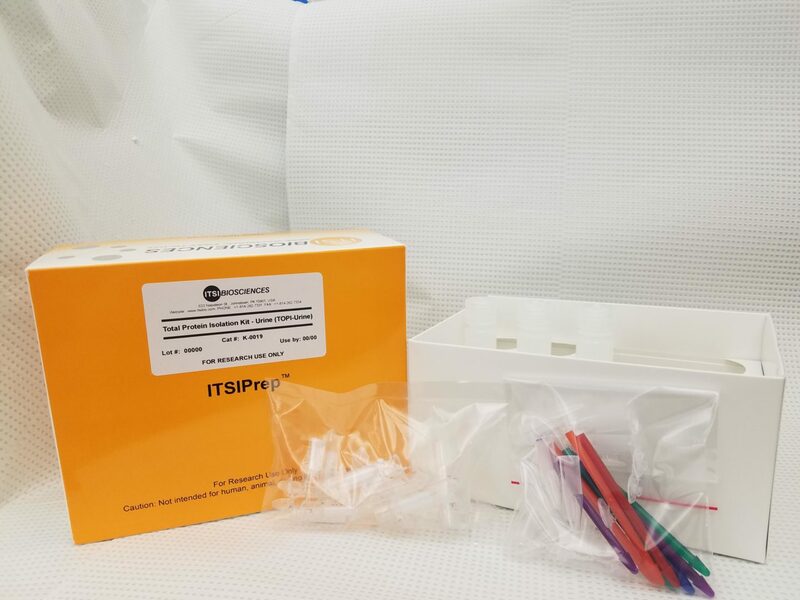 The ITSIPREP ToPI-U is a validated kit specifically designed for isolating and concentrating proteins from urine. The concentrated proteins are compatible with variety of downstream proteomics analysis including electrophoresis (1D, 2D and 2D-DIGE) and western analysis. Fig 1: 1D-PAGE gel image of Human female and male urine samples. 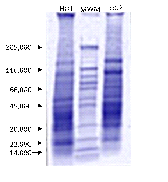 HU1 is human female urine and HU2 is human male urine sample processed with the ToPI-U urine protein isolation kit. MWM is a molecular weight marker. Approximately 80ug of total protein were loaded per lane. 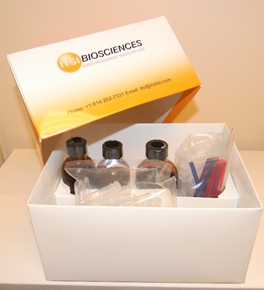 Each kit contains optimized reagents in ready-to-use formats and consumables. Micro grinder pestles and tubes.